Confused How to Explain About Reproductive Health to Your Teenagers? Here Comes the Solution! Talking about sexual and reproductive health is a problem commonly avoided by most parents. They still feel it is taboo to discuss on such issue with their teenagers. Meanwhile, parents should become the best friend of their teenagers, especially related to the sexual and reproductive education. 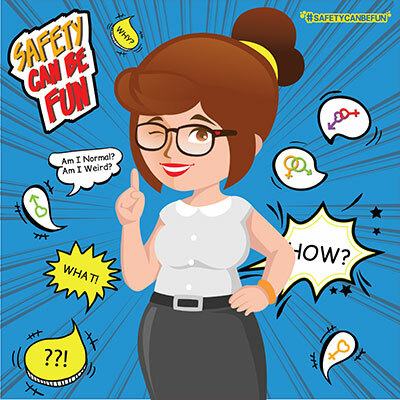 Thus, DKT Indonesia presents the “Safety Can Be Fun” Sexual Health Training Booklet to facilitate Indonesian parents in preparing their teenagers, especially on the understanding of the sexual and reproductive health. “Based on our most recent research, it is important for parents to discuss the sexual and reproductive health with their teenagers using an informal approach. However, teenagers are not comfortable to discuss such issues with their parents and vice versa. In addition, parents may not know the proper approach to initiate the discussion. It makes teenagers very vulnerable to incorrect information on sexual and reproductive issues. Furthermore, they may also be trapped in the false question or myth, as they prefer to search information on the internet or share their thoughts with their peers, who have the same problem of lacking knowledge on the sexual and reproductive health” explained Sutan Musa, Brand Manager in DKT Indonesia. Pierre Frederick as the Deputy GM of DKT Indonesia added “DKT Indonesia is a social marketing organization aimed to improve public awareness on the importance of a healthy life through the successful Family Planning and HIV-AIDS and other sexually transmitted infections prevention programme. So, we are responsible to continuously assist the government in educating people on the importance of sexual and reproductive health in Indonesia. Besides, our respective communication activity always emphasizes on the importance of Abstinence approach as an early prevention”. “Nowadays, teenagers have indeed learned about the sexual and reproductive health in schools. However, such topic is usually discussed merely on the biological or theoretical side. The schools do not discuss the sexual and reproductive health in details or from the psychological point of view. Meanwhile, an informal approach from parents to their teenagers is really important. So, teenagers can be more open and have a close tie to their parents. Therefore, parents can protect their teenagers from a risky behavior. Plus, internet access is very easy now. We must not let Indonesian youth to get Sexual Education from a wrong source,” added Pierre. During the Safety Can Be fun media meeting, Usep Solehuddin as the Secretary of Yayasan Pelita Ilmu and a Public Health Expert stated that “The knowledge level of Indonesian teenagers on the sexual and reproductive health is still low, especially on how to protect themselves against the reproductive health risks, such as a psychological change triggered by hormone. Here the parents should come to rescue. They should guide their children by becoming a good sounding board. Correct information on sexual education is very important to increase the understanding and protect teenagers. So, they can think before taking any actions”. In addition, parents can choose suitable materials for their teenagers. “By this Booklet, we hope that we can help to facilitate parents in discussing the sexual and reproductive health with their teenagers So, Indonesian youngsters can protect themselves with the positive reproductive health information and disseminate such positive information to other persons” added Pierre.